Jessica Lange Returning to American Horror Story: Hotel? 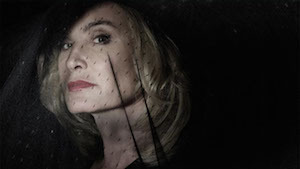 While checking out our friends reviews on the American Horror Story series(https://vinnieh.wordpress.com/2015/06/21/american-horror-story-coven/), we stumbled upon an article about Jessica Lange hinting that she just might return to the show. Keyword—MIGHT. Personally, I don’t think Jessica would have mentioned it at all if it wasn’t an option she was carefully considering. After all, this would just upset fans of the show. Scratch that. Upset isn’t the appropriate word. Let’s try outrage the fans of the show, most of them wanting nothing more than to see her back. Let’s face it, American Horror Story won’t be the same without her. She was the star! An amazing one at that. 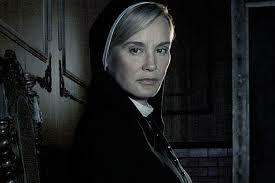 So, will Jessica Lange return? We can only hope. I have some theories on the matter. First, I think Jessica does need a break. The show was designed to be unique, each season a standalone, yet subtly connected in a giant, intricate web. The writers are a talented bunch, having to foresee every twist and turn and how they intertwine with each other. It’s simply amazing. 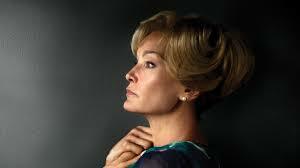 However, Jessica Lange has become a fan favorite. Although her roles have changed a bit, she still is the “ringleader” of it all. This could be too repetitive and I do think they need to spice it up a bit. With this said, I have a feeling that if Lange doesn’t check in to Hotel, we will definitely see her back for season 6. Imagine the ratings? It’s a great marketing strategy, thinking ahead in the future like this. If Lange does return for Hotel, I have a feeling she will play (not a new character) but reprise her roles as one of four characters: Constance Langton, Sister Jude Martin, Fiona Goode, or Elsa Mars. I’m leaning on Constance and I would love to see that storyline continue(even if it is a sort of prequel on the character). After all, show runner Ryan Murphy is taking us back to Los Angeles, CA so it does seem likely. One can only hope pray. Lange also mentioned in a recent interview that she would definitely return to the series if Murphy came up with a smaller role for her that she liked. On American Horror Story: Freak Show, actress Lily Rabe reprised her role as Sister Mary Eunice McKee for a few minutes on(what I thought) was the best episode of the season. Perhaps, Murphy has something similar up his sleeve for our wonderfully talented Jessica Lange. I haven’t been too upset over Lange’s retirement, solely because I don’t believe Freak Show was the last time we will see her. How does everyone else feel about it? Do we have any other American Horror Story fans lurking on the web? 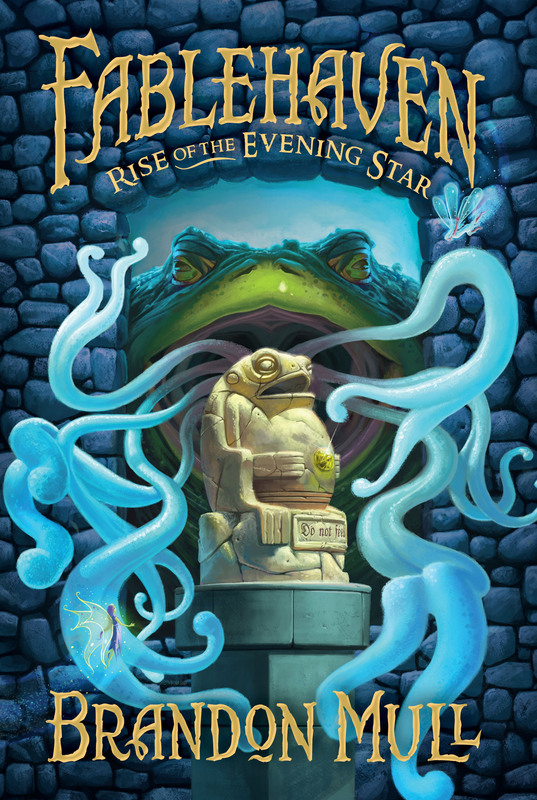 Fablehaven: Rise of the Evening Star is a great sequel that not only lives up to it’s New York Times Best selling status, but in my opinion, surpasses it. First of all, there are three new characters: Tanu (a Potion Master), Coulter (a magical Relics Collector), and Vanessa (A Catcher of magical creatures). What I loved most overall about these three new characters is that they enrich and expanded Brandon Mull’s world. I loved them! I really enjoyed watching Kendra and Seth return to Fablehaven and were taken under these three new character’s wings. Kendra and her brother Seth meet the Sphinx and Kendra is told that she is fairykind (connecting to the ending of the first book). This means, Kendra has some new found ability such as seeing magical creatures without drinking the milk, or recharging magical objects. The plot thickens when the Sphinx announces that there are five mysterious artifacts, each hidden in its own magical preserve (Fablehaven is included). This is the main reason why Tanu, Coulter, and Vanessa have come —- they are searching for the one hidden on Fablehaven’s property. The main plot is pretty much about the Society of the Evening Star (hence the title), who are an ancient organization with the wicked agenda to take control of all the magical preserves in the world (Fablehaven included). The society actually made me think of a sort of PG version of the Illuminati, which I thought was really well done. I thought this was a great book. Again, Brandon Mull captures audiences of all ages, as well as both males and females. I wish I had a book like this when I was growing up. I would have been obsessed… Well, I guess I did have Harry Potter and yes, I was obsessed. If I was an Elementary to Middle School teacher, I would definitely want this one in my classroom. For anyone who loves middle-grade, fantasy, adventure, this is the book for you. I noticed some of the reviews on goodreads.com saying Mull’s world-building was weak, but I don’t see that at all. A couple reviews I saw were 1 star, yet the reviewer continued to read the entire series. If the book has captured your interest that much where you are going to invest in the time to read an installment of five books, then I think that deserves more than a lousy 1 star… just saying. Haters are gonna hate! At the end of the school year, Kendra and her brother Seth find themselves racing back to Fablehaven, a refuge for mythical and magical creatures. Grandpa Sorenson, the caretaker, invites three specialists — a potion master, a magical relics collector, and a mystical creature trapper — to help protect the property from the Society of the Evening Star, an ancient organization determined to infiltrate the preserve and steal a hidden artifact of great power. Time is running out. The Evening Star is storming the gates. If the artifact falls into the wrong hands, it could mean the downfall of other preserves and possibly the world. Will Kendra learn to use her fairy gifts in time? Will Seth stay out of trouble? Brandon Mull is the author of the New York Times, USA TODAY, and Wall Street Journal bestselling Beyonders and Fablehaven series, as well as the bestselling Five Kingdoms and Candy Shop Wars series. He resides in Utah, in a happy little valley near the mouth of a canyon with his wife and four children. Brandon’s greatest regret is that he has but one life to give for Gondor. There has been much talk in the LGBT community lately about conversion therapy. Besides, this issue is the focus of my new gay fiction series – Lost Boys Academy. I began writing Lost Boys Academy late last year. The story focuses on five male gay students who are sent to a conversion camp their first year of college. The story focuses mostly on the relationships and actions of the school. My message is pretty clear and I love giving these characters the chance to show that these types of places are ridiculous and only do the exact opposite in the end. Now that I’ve made my peace with that, I am happy to share this amazing review from Paul over at GMR! Super ecstatic to see that there are people as stoked about this series as much as I am! I love writing these characters and watching them grow, and cannot wait to share the rest of the series!